Festival season is in full swing come July in New York City. With cultural events, big-name concerts, and art shows, there’s so much going on in this big city that it can be hard to keep up. So, in order that you can plan accordingly, we’ve compiled a list of July’s most exciting festivals, so you don’t miss a thing during one of those infamous New York minutes. 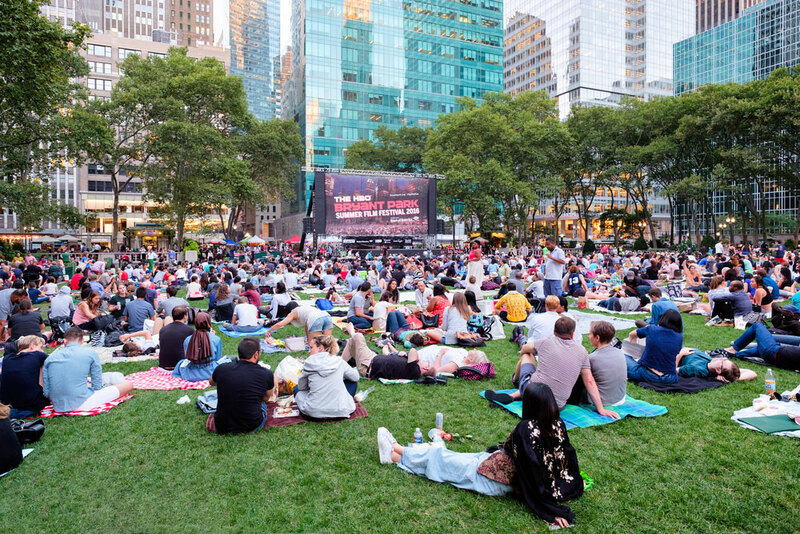 A New York City tradition, this summer film festival has been running for 25 years in Bryant Park. Every Monday New Yorkers line up with their blankets and their picnic baskets to watch some great films under the NYC skyline. The weekly schedule rotates between classics and new films. For a complete list of upcoming films, check the schedule here. This world-class festival brings renown international artists to perform at the Lincoln Center. From dance, music, theater, and even circus arts, the Lincoln Center Festival offers the best of the best to New York City year after year. This iconic music festival boasts some of the biggest names in the country. With concerts in all five boroughs, this year’s lineup at SummerStage includes everyone from Chilean songstress Mon Laferte, indie star The War on Drugs and up-and-coming R&B star Khalid. Theater fans unite. This classic summer festival returns for another season, this year with plays such as Julius Caesar and A Midsummer’s Night Dream. Although this festival is free, tickets are required. Reserve your spot in advance here. This popular music festival on Randall’s Island has been called the Coachella of the East Coast. This year’s performers include Frank Ocean, Tame Impala, Nicolas Jaar, and Solange.